5th Dec 2018 in Special offers! This Christmas just got better! We are not only giving our customers a free Villeroy and Boch crystal glass set on orders over £500+, but now all orders over £1,000+ will receive an additional 5% discount across the UK Bathrooms website. Saving you more money to enjoy the festive season! How do I qualify for the extra 5 % discount? 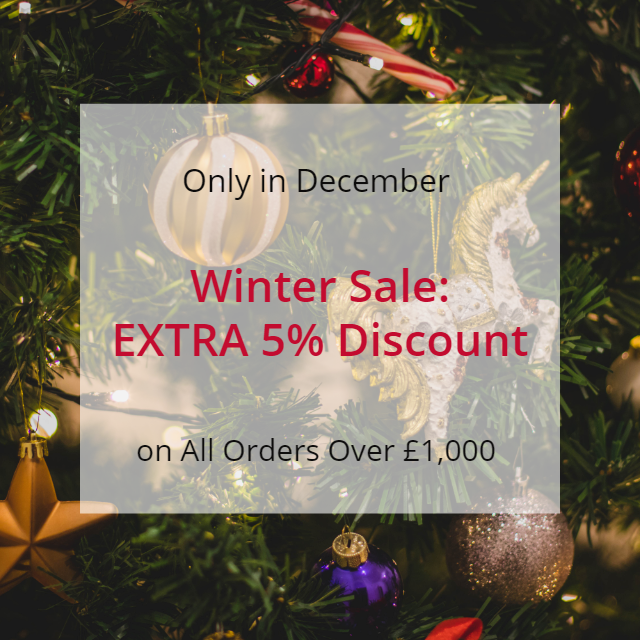 Place your order over £1,000 through the UK Bathrooms website and you will receive a 5% discount on your overall order, the discount is shown in your shopping basket for clarity prior to checkout. Find top brands such as hansgrohe, Keuco, Villeroy & Boch, Geberit and VitrA at UK Bathrooms. We offer a wide range of premium bathroom products at great prices, you will definitely find something that is in great quality and suits your taste! Plus, when you spend over £500, you will receive a complimentary Villeroy & Boch Crystal Entrée glass set. Which includes: 4 x Red wine goblets, 4 x White wine goblets and 4 x Champagne flutes. The promotion starts on 5th December 2018 and ends on 31st December 2018. If the order is more than £1,000 the customer will atomically receive a 5% discount on the overall order. The discount excludes clearance items. The qualifying value excludes delivery fee.